The ideal yellow sports watch bracelet with two side lines fitted with a DLC buckle. The groundbreaking two-tone yellow bracelet for Sports Watch Wryst Elements PH4. This astounding design will enhance the futuristic and sporty feel of your sports watch. You can also fit this band on the Wryst Airborne FW4 timepiece. the silicone is protected by a dust-proof finish and is solidly attached to the watch head with a hard insert. Ideal for your extreme sports and outdoor sports Wryst PH4 with black DLC casing and yellow details on the dial. The design of the limited edition Swiss sports watches Wryst Elements is bold and aggressive. 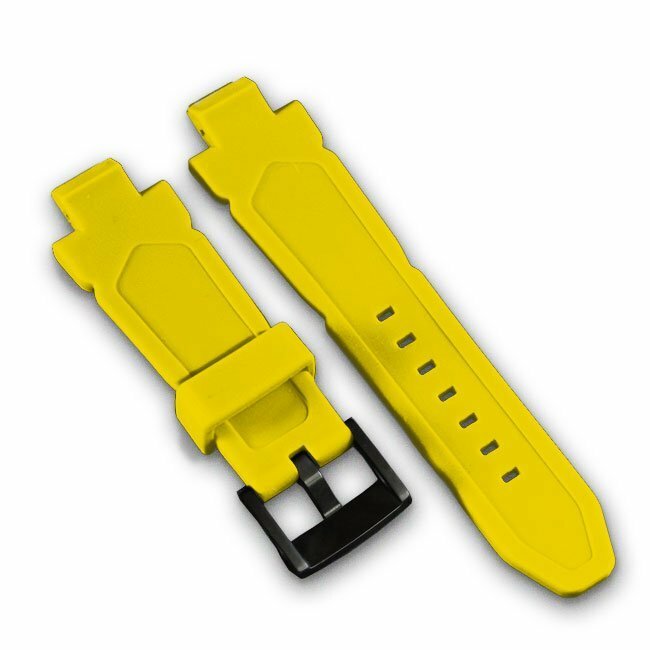 This is the replacement yellow bracelet for the strong, reliable and stylish Wryst yellow sports watch reference PH4. Note this model can also fir the first generation Isle of Man TT model released in 2015 and discontinued in June 2016. 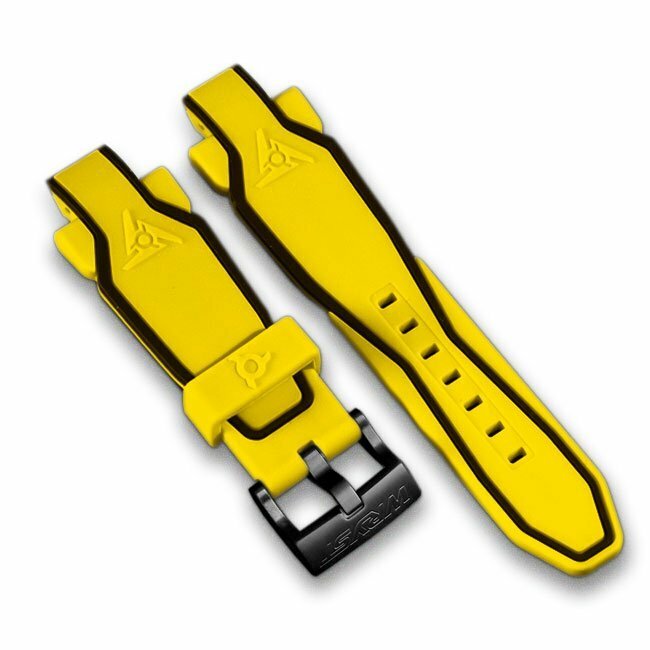 For the few owners of a limited edition Wryst Airborne FW4 Swiss watch this can also be an alternative to the black silicone bracelet with thin yellow lines.